Yay! It's finally arrived! The day of the big, multi-blog Mad Tea Party, hosted by A Fanciful Twist. I participated last year for the first time and was on pins and needles this spring to see when she'd announce the date for this year's. (See last year's party here.) I've had so much fun picking out pretty dishes and delicious treats to set out for my party. I've even got a giveaway for you all at the end of the post! It's going to be a wonderful party so make sure you visit Vanessa at A Fanciful Twist starting Saturday morning to see all the unique ideas from tons of your favorite bloggers. Last night, a little bit of magic sparkled into our house in the form of a gloriously mad tea party---right in our living room! 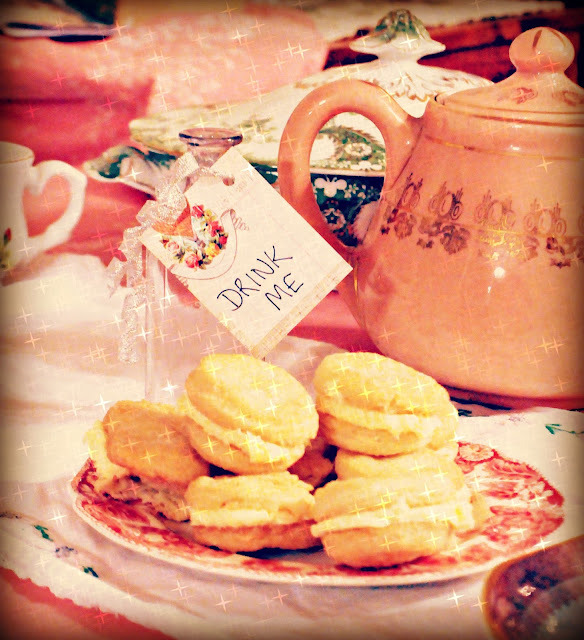 It was a party fit for an Alice, with a few fun surprises hidden amongst the tea and treats. I heard the squeals of delight and came running in to find Alice reaching for this plate of goodies. 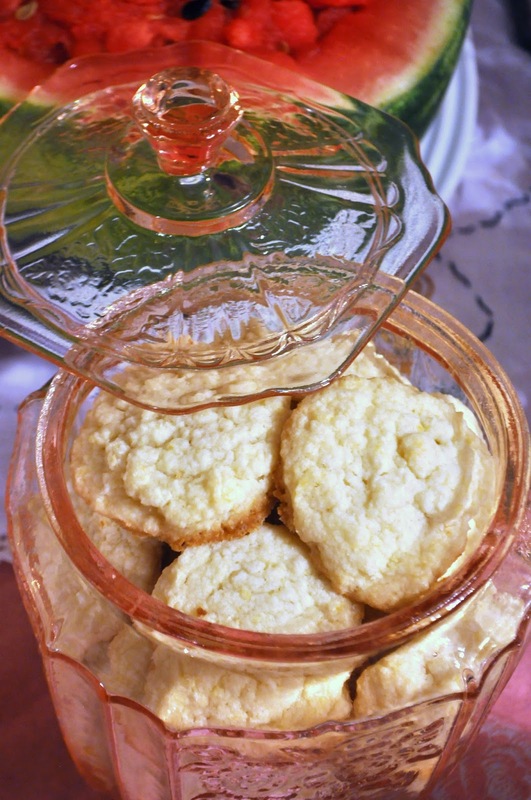 It's awfully hard to resist sweet creme wafer cookies when they appear in one's living room so invitingly! When Alice picked up the bottle labeled, "Drink Me", she saw a flash of light and a little man in a funny hat popped out to greet her. She remembered him from a dream she'd once had---she'd called him the Mad Hatter, for he was forever changing his mind and making senseless remarks. Alice, being just a tiny little thing, did not quite know what to say to this. Instead, she continued to examine the delightful things around the table. As Alice made her way around the table, she found luscious Lemon Tea Cookies beckoning from a pretty pink biscuit jar...and a strangely familiar pig baby peeking out from a fruit basket. 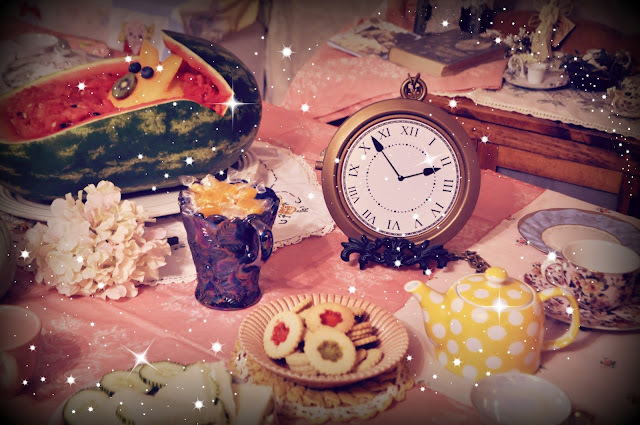 I had a lot of fun putting together our Mad Tea Party and now I'm extending the fun to you! 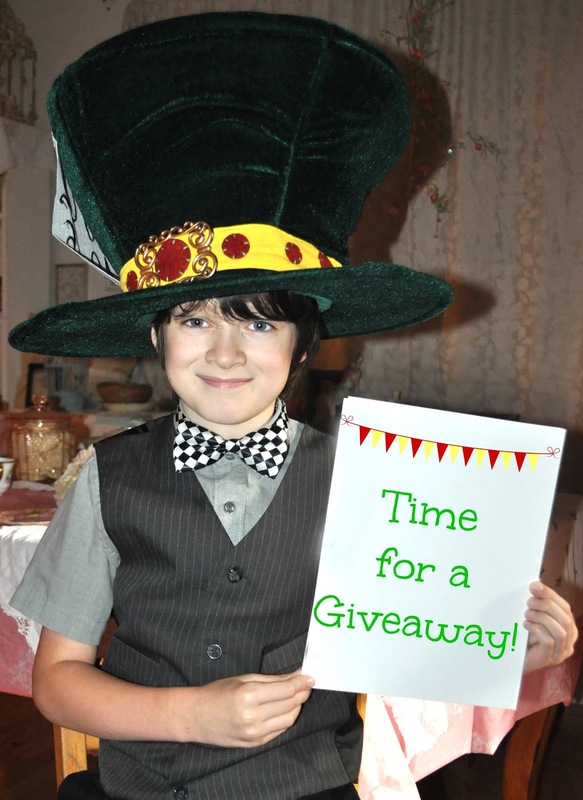 Check out the Rafflecopter widget below to enter to win an Alice and Mad Hatter prize package. The giveaway will remain open until 12 AM Central on Sunday, July 12th. Make sure to tell your friends and visit the other Mad Tea Partiers at A Fanciful Twist, beginning Saturday morning, July 11th. 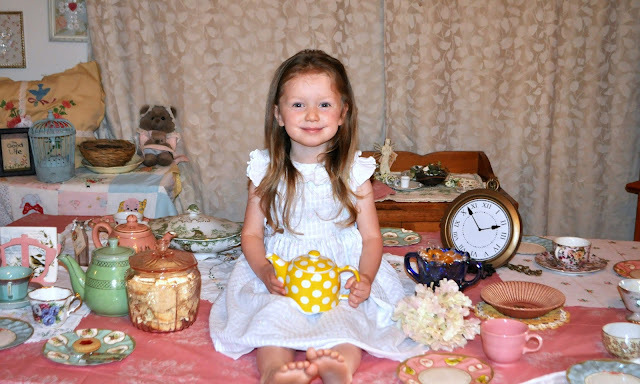 This is the cutest tea party I have ever seen! Happy Pink Saturday .....and what a wonderful tea party you had your house! Love all of the clever details!! Sara, you out did yourself wih this one. You should be a professional. Ha! Well, thank you. :) It was a lot of fun! OH I wish you could have too! I love doing these. I'm thinking we need to come up with a few more fun themes to do throughout the year! What a project this was!! Thank you for so thoroughly documenting it all - it was almost like being there!! What kind of filter did you use for the sparkly pictures - they're BEAUTIFUL!!! Thanks, Pat! I used picmonkey to put in all the sprinkles and stars and other effects! You can use a free version at picmonkey.com. Oh, Sarah! HOW wonderful! You are such a great Mom...so full of love and happiness and good blessings for your sweet children! I can't even imagine how much work it was to put all of this together! Thank you for sharing with us here. You are such a blessing to us all. :) God bless you and your sweet family. Thank you, so much, for your sweet words! It's always a joy to see you've visited as you have such a gift of encouragement! What a clever and adorable tea party! Lucky kids with such a creative mom! A very nice party indeed. Thanks for the treats. It was wonderful. It was great to have you! Come again any time! Thanks for coming to the party, Kerstin! Oh an adorable Alice and Mad Hatter. He must have very large pockets. Thank you for the delicious recipes and the giveaway chance. Please come visit. I also have a giveaway. Thank you for telling me about Alice I have Been! Yes! I should put that link in here, shouldn't I? I'll add it to the post. I'll definitely be by your blog very soon! Your children are so cute….and your tea party is delightful! Happy Unbirthday to them! Thank you...and a very merry unbirthday to you, too! Thank you for stopping by for Turkish tea. Thanks for coming to my party, Marcia! Thanks, Carmen! I'll be at your party soon! What a sweet Alice and Mad Hatter, everything looks delicious! What a happy mad tea and such delightful guests. Lovely party! It's fun to see your children getting in on the fun. I love all things Alice! 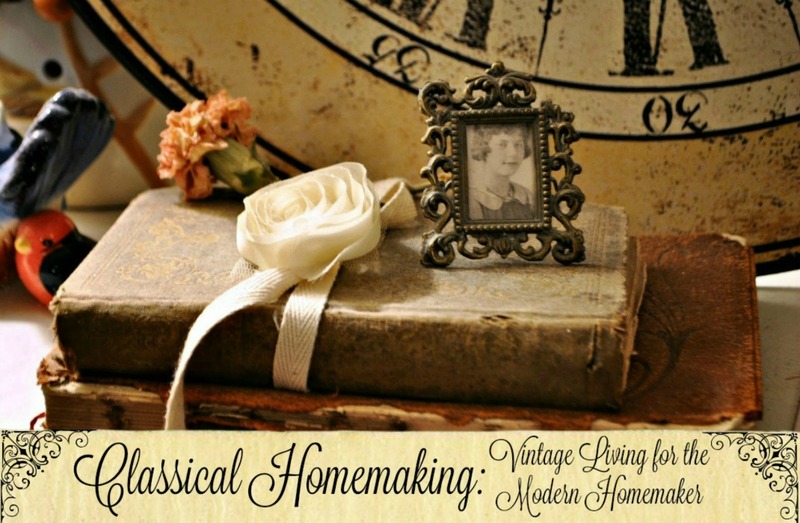 Stop by Hyacinths to see my post on the fantastic exhibit that was here in my town, then you can pop over for tea or a cool limeade. Hope to see you! It is fabulous Sarah!! I bet your kids had a ball! This is darling. I love checking out the mad tea parties every year! Your table and your family are simply beautiful! Your helpers were super adorable! I hope they were well paid in tea goodies. 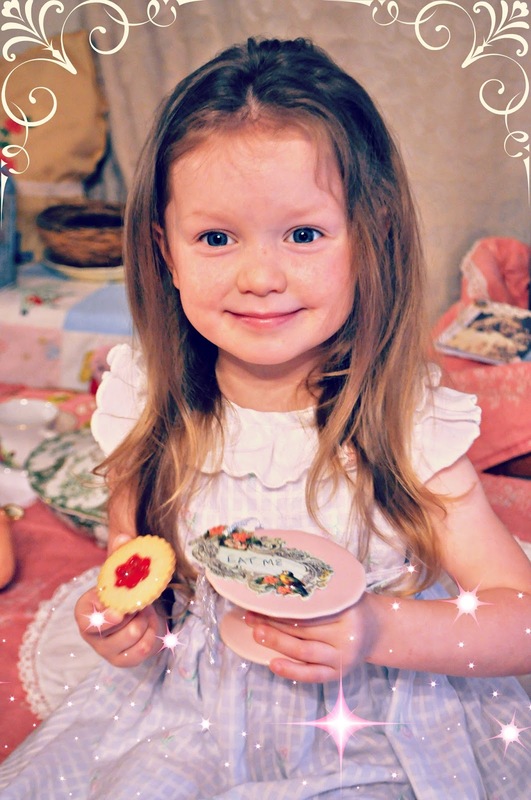 What adorable children and what a fun Tea party! 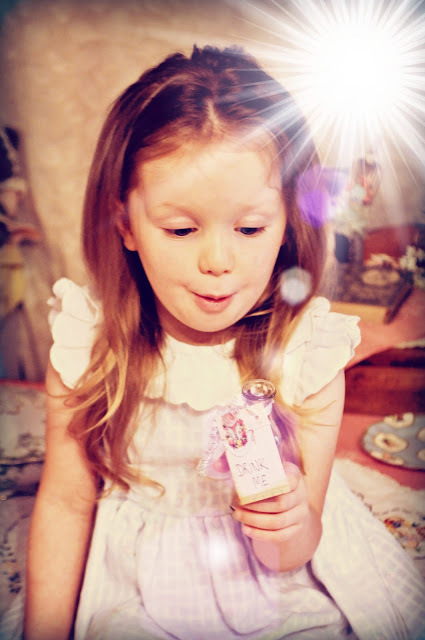 I loved all of the beautiful treats and the sense of magic and wonder in the air! So beautiful!! 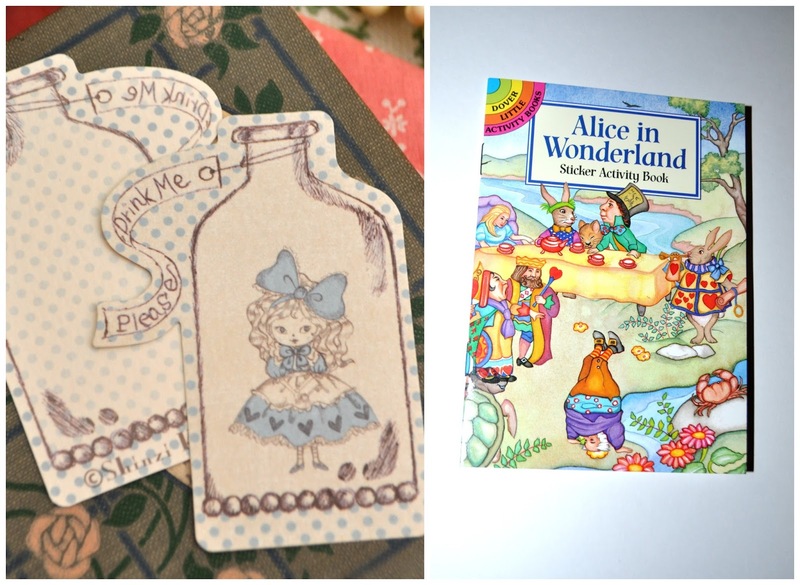 Oh How delightful- and could Alice and the Hatter be any cuter? They must have had such fun! 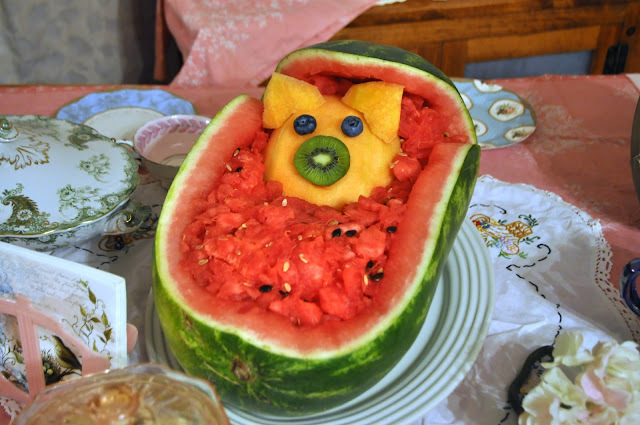 and I'm completely smitten with the pig in the watermelon ! A terrific party, especially Alice and the Hatter, they were simply adorable! Oh what a wonderful tea part! Such delightful treats to be had and your Alice and the Hatter are terribly cute. Thank you for inviting us to your tea party. 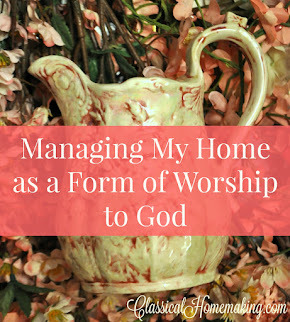 Ohh i love this blog post!!! Love Alice in Wonderland..amazing! So very creative and clever, this is my first time at this tea party (thank you for your visit to me by the way, much appreciated!) I'm blown away by the standard of all the posts and the effort of all the participants and you're at the top of the pops for me! Enjoy your forthcoming trip to the UK! What a fun party! Your kids looked like they were having a great time! What an amazing party, it looks so much fun. 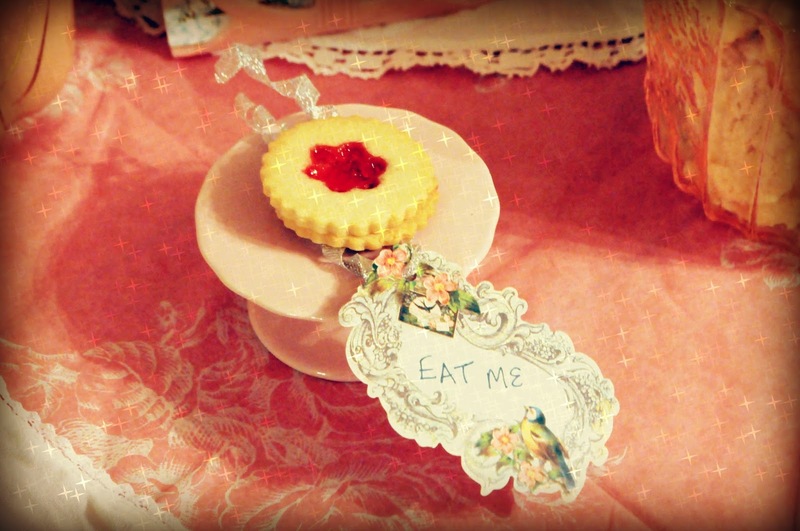 Lovely and creative pictures..
awesome tea party, great goodies, and your guests were lovely and dapper! Sadly, I didn't play this year. Fabulous!! I thoroughly enjoyed my visit, your party was delightful! 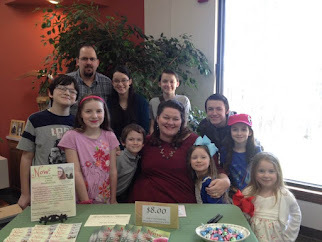 Well I hate that I missed the giveaway but I totally loved your party! Getting the kids involved is always the greatest thing. Thank you for having me over! I am late, but enjoyed your tea party immensely. The sweets and tea were indeed a delight. Really fun party! I adored your Alice and Hatter.! A sweet special touch, and your treats were delicious too! This is just so adorable. What a wonderful tea party. This was just so much fun, Sarah! You put a lot of time and love into it and the children had a ball, I know. A very creative post! So glad you shared it with us at Tea Time. What a great job! I especially enjoyed seeing how much fun your helpers were having! So creative! 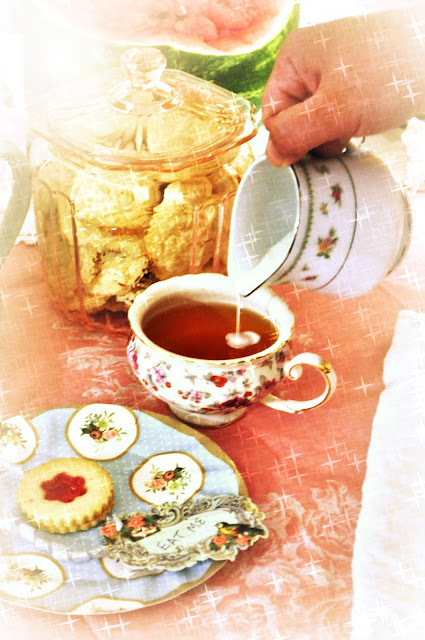 Thanks so much for linking to Tuesday Cuppa Tea! what a delightful idea- drinking tea and throwing in a much-loved book! Congrats to the winner of your give-away. How adorable! The children look as though they had so much fun...and I bet mama had a bit too! That must have been a lot of fun! 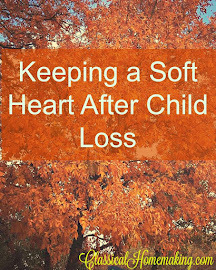 What wonderful memories you have created for your sweet children! I love all the photos. The piggy in the watermelon 'cradle' is delightful! Adorable! So much fun to include your kids. Love the baby pig. Happy Tuesday Afternoon! It sure looks like you had fun putting this together. 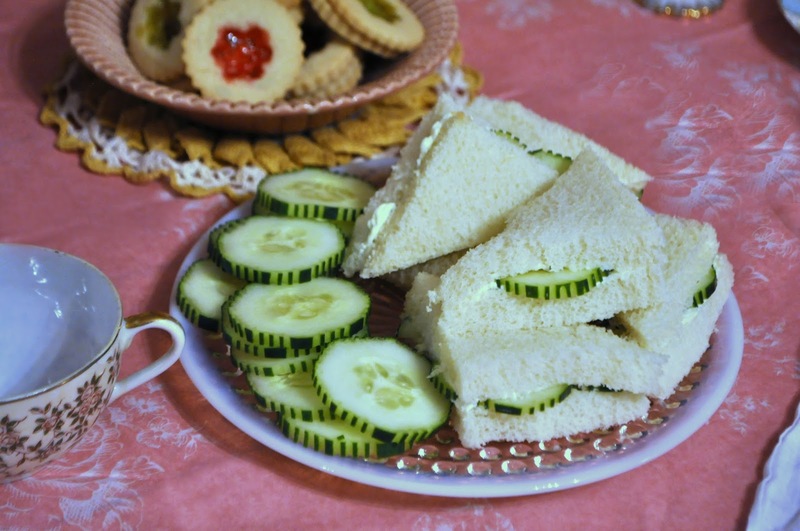 Alice looks happy, as I would be with those beautiful cucumber sandwiches so close by. 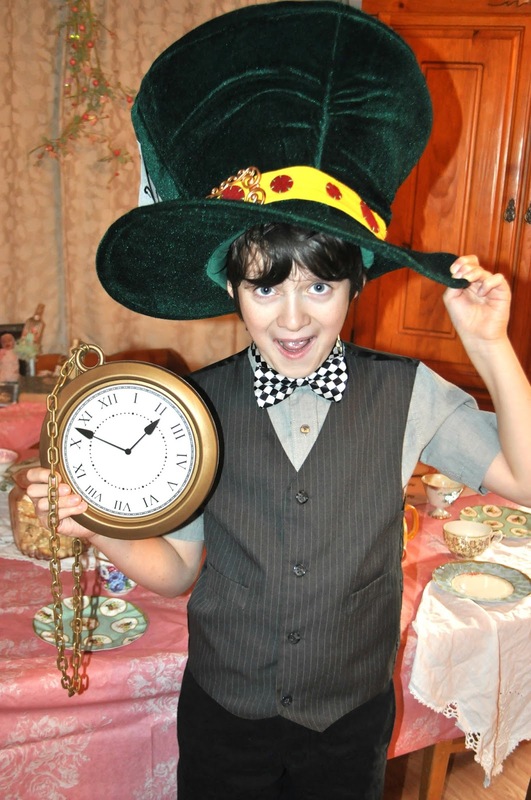 The Mad Hatter looks to have a fun trick up his sleeve - or should I say in his pocket? 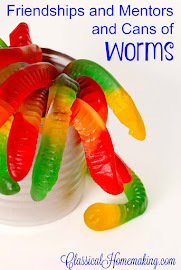 What a fun party and what a fun memory you have made for your children. I loved visiting. This posting has so many wonderful and creative details. I think the pictures are priceless. Great job! 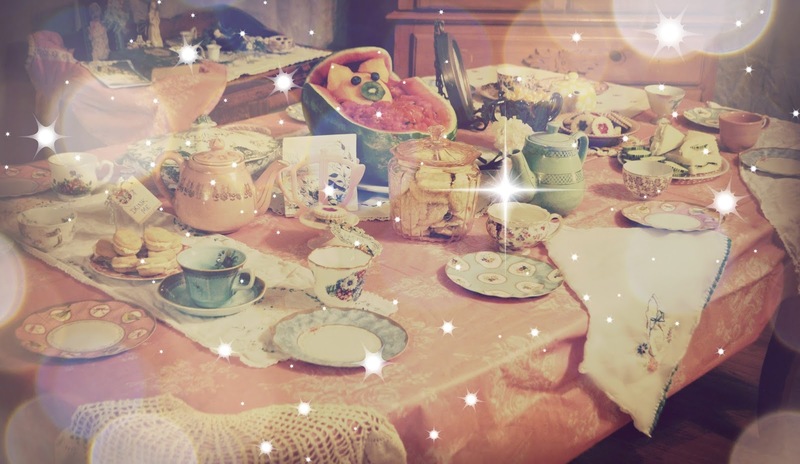 Oh my, wat a darling tea party! 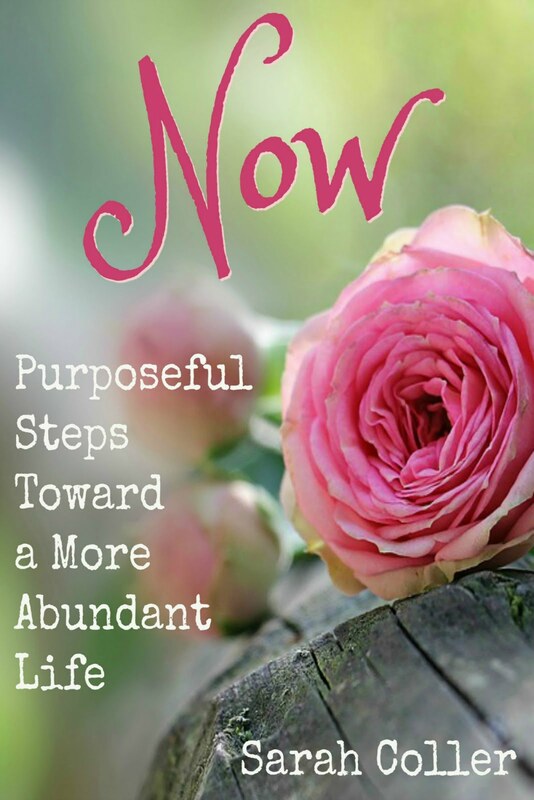 Each photo brought a smile to my face :) Thank you so much for sharing with Roses of Inspiration - it was a joy to have you at the party.